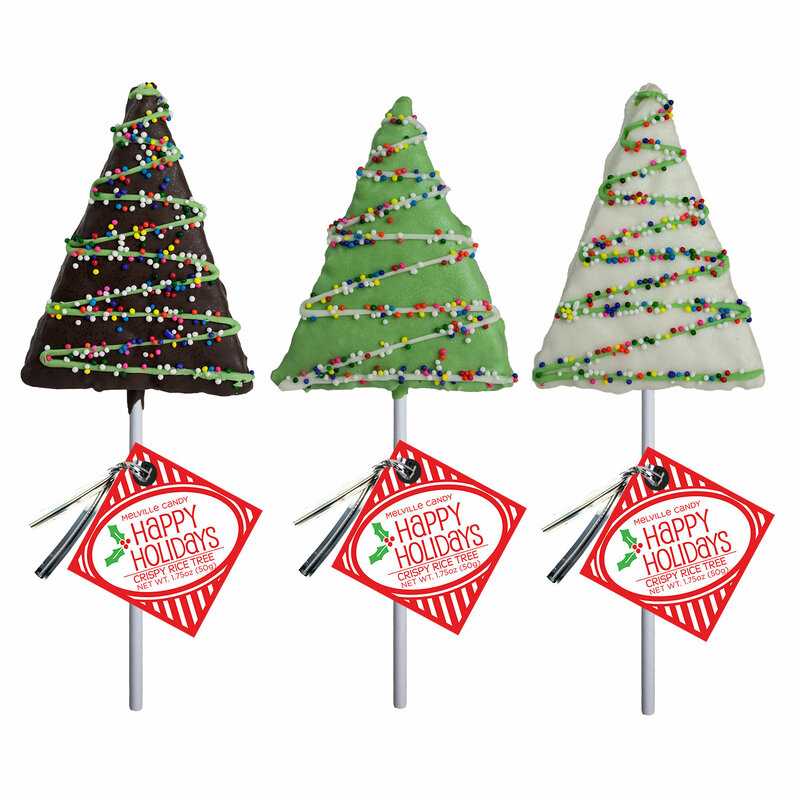 A new twist on an old favorite, our Holiday Drizzle Crispy Rice Trees are made with tree-shaped crispy rice treats dipped in chocolate, drizzled with a chocolate ribbon, and sprinkled with nonpareil candy. 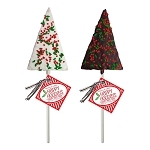 This item comes with 12 treats on your choice of stick with a paper hang tag. Select white chocolate, dark chocolate, green chocolate or an assortment of all three flavors. 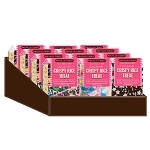 Each treat is hand-dipped; slight variations will occur.